You would think that since I’m working at Johnson Space Center right now, I would have exciting tales from inside NASA to share with you, but I’m afraid it has been pretty uneventful. I have however managed to read a couple of books, one of which was The Next 100 Years: A Forecast for the 21st Century, by George Friedman. This was a really fascinating book about using history and geopolitical patterns to predict the near, and somewhat more distant future. It was refreshing to hear someone discuss world events on a longer timescale than the 24-hour news cycle which dominates most of our knowledge of the world. An apt analogy comes to mind: this book is to daily world news what climate is to weather. 2050: Global war between the US, Turkey, Poland and Japan – the new great powers. 2080: Space-based energy powers the Earth. 2100: Mexico challenges the US. Provocative eh? Rather than pick at each of these, most of which I have no expertise with which to base my comments, I’d like to focus on Friedman’s discussion of space. If you don’t want some later parts of the book “spoiled” then stop reading here. 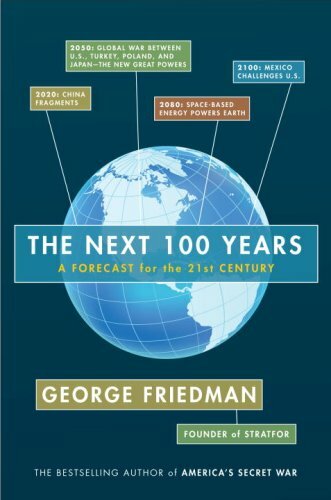 In the description of the global war that he predicts circa 2050, Friedman departs from the pattern set earlier in the book and gets into the details of one possible scenario. He gives many caveats making it clear that it’s impossible to predict events so accurately, but then he goes ahead and tries. One of the major factors in the war, Friedman says, is going to be space-based surveillance and weapons. 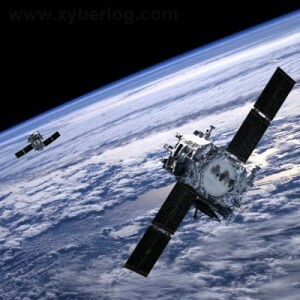 He foresees larger and more complex spy satellites developed by the US. Of course, our rivals will want to be able to disable these assets, so Friedman describes a strange sort of arms race in satellites that culminates in huge, crewed space stations that act as the hub for the US command and control network. Sort of like orbiting combinations of air traffic control towers and spy satellites. He cites the vulnerability of a ground-based control center, and the seconds of delay time between the acquisition of an image in space and its receipt at a ground-based control center on the surface of the other side of the earth. These “battle stars” would be armed and armored so that they are nearly impervious to attack by enemies. He also describes a fleet of smaller satellites controlled by the battlestars which can “stop and loiter for extended periods of time” over targets of interest. If that sounds like science fiction, just wait until you hear about his description of how the Japanese will eventually take the Battle Stars out in a 21st century Pearl Harbor style attack. Friedman describes a covert Japanese base on the far side of the moon, which uses rocket-propelled moon rocks, sent into unusual orbits so that they look like ordinary asteroids. Then, when they are within striking distance of the Battle Stars, their rockets fire at the last minute, destroy the Battle Stars and blind the US for the start of the war. Ok. Let’s think about this. I find it extremely unlikely that the benefits of having command and control located in space will outweigh the significant cost of constructing the “battle stars”. For the same price, the US could build a whole network of smaller satellites and numerous redundant receiving stations and control centers on the surface. And as for satellites that can stop in their orbit over a target of interest: don’t hold your breath. Barring some revolutionary discovery in physics and propulsion, I can’t see how a spacecraft would accomplish that sort of task. Satellites orbit fast, and that means it would take a lot of force to stop one in its orbit, and to get it back up to speed afterward. The whole “moon rock weapons” idea might work, I guess, but if you take away the idea of hugely centralized assets in orbit, then that sort of strike doesn’t make much sense. 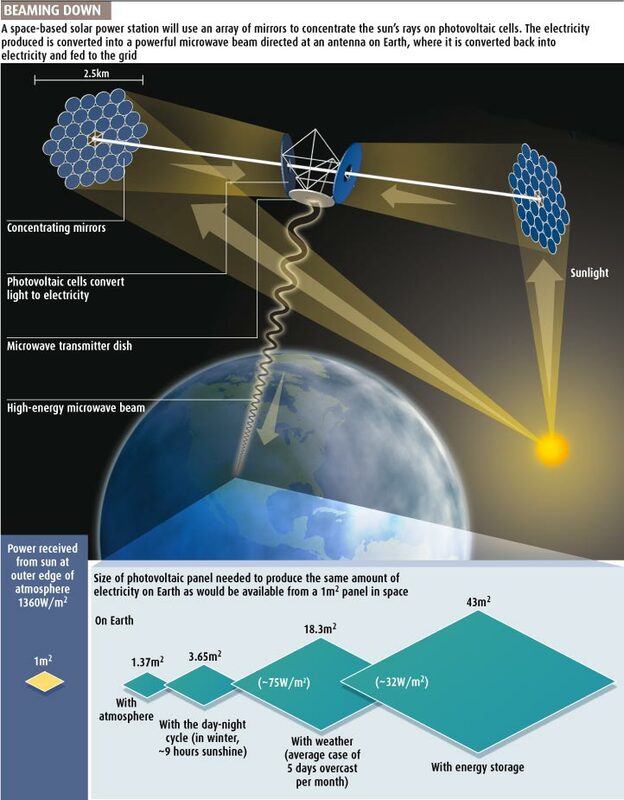 This space-based solar power concept uses mirrors to concentrate sunlight on photovoltaic cells, which convert the light to electricity, which powers a microwave transmitter. The microwaves a received on the surface and converted back to electricity. Ok, but what about this space-based solar power idea? I think that is actually significantly more likely. Friedman is correct when he says that research is already being done into using huge orbiting solar arrays that would beam power down to earth in the form of microwaves. And I think he’s probably right that the military will pioneer large scale use of the technology. The ability to provide power to forces on the ground no matter where they are would be a huge asset to the military. Don’t believe me? Check out this 2007 report from the National Security Space Office. It’s possible that space-based solar power will become feasible on its own merits, but having the military pioneer it would be an effective way to deal with the up-front costs of the first large-scale versions. I think if space solar power ever does become a major source of our energy, it will have a huge influence on the world. It would be a nearly limitless source of energy, and as Friedman mentions, it would change the balance of power in energy economics. Countries that have historically relied on profits from oil would no longer be able to do so if the biggest consumers in the world could launch their own power satellites and harvest their own energy. Despite some weirdness in the predictions of space-based military assets, most of The Next 100 Years is a really interesting read. It is also a very easy and quick read. In fact, my last criticism is that Friedman tries a little too hard to explain things. Many themes and statements are repeated throughout the book, and there were even times when I was reading a paragraph and stopped to be sure I had read it correctly because it was repeating something that was mentioned earlier on the page. As a side effect of reading about the future, I feel like I have a much better understanding of current geopolitics. It will be interesting in the coming years and decades to see how the predictions in the book stand up to the test of time, but if nothing else it’s a fascinating look at one possible version of the future. “So let me just tell you a little more about this budget. Bear with me if you’re already knowledgeable here. At the highest level, the President and his staff as well as my NASA senior leadership team closely reviewed the Augustine Committee report, and they came to the same realization the Committee concluded: The Constellation program was on an unsustainable trajectory. If we continued on our current course, at best we would have ended up flying a handful of astronauts to the moon sometime after 2030. But to accomplish even that limited task, we would have had to make even deeper cuts to the other parts of NASA’s budget, terminating support of the ISS early and decimating our science and aeronautics efforts. Further, we would have had no money to advance the state of the art in any of the technology areas that we need to enable us to do new things in space – no money to lower the cost of access to space, no money for closed- loop life support, no money for advanced propulsion technology, no money for radiation protection. The President recognized that what was truly needed for beyond LEO exploration was game-changing technologies; making the fundamental investments that will provide the foundation for the next half-century of American leadership in space exploration. In doing so, the President put forward what I believe to be the most authentically visionary policy for real human space exploration that we have ever had. Some have argued that the Constellation program was the symbol of American leadership in space. I think they have been misled. 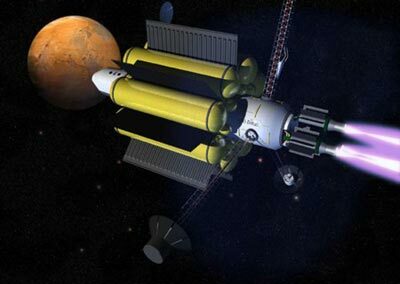 An unsustainable program, as described in the Augustine Committee Report, with no funding planned to support the ISS beyond 2015 and no definitive, funded plans for a heavy lift launch vehicle necessary for exploration beyond low Earth orbit can hardly be considered a symbol of American leadership in space. U.S permanent human presence in space and our international human spaceflight partnership would have ended or been totally dependent on the Russians for the foreseeable future. That is not American leadership in my book. Under the new plan, however, we will ensure continuous American presence in space throughout this entire decade, re-establish a robust and competitive American launch industry, start a major heavy lift R&D program years earlier, and build a real technological foundation for sustainable beyond-LEO exploration. That to me is real leadership, and our international partners already recognize it. The idea that a renewed focus on research and technology development is somehow foreign to NASA is just plain wrong. When NASA was first established, the Space Act mandated research as one of the agency’s central missions. Even the original Vision for Space Exploration intended to use the moon to test advanced technologies for exploring more distant destinations. But the development of Ares and Orion consumed these technology development plans. By 2009, there was little exploration funding available for anything besides the immediate launch vehicle and capsule programs. The president sought to correct that, and it required a bold course adjustment. I often hear the criticism that under the President’s plan we have no destination. This is also not true. The ultimate destination in our solar system for our exploration efforts is Mars, but we don’t have the technological where-with-all to safely get humans there yet. In order to reach this destination, we need a robust research and development program to help us provide the capabilities that will make this goal attainable. When NASA’s transformative technology development and demonstration programs are underway, the commercial sector will be moving rapidly to develop crew and cargo capabilities for U.S. based transportation to LEO. Commercial providers have long carried our most valuable payloads to space for the nation and have been integral to every human spaceflight mission since the beginning. My guess is that the American workers who have successfully built and launched the Atlas V 20 times in a row would disagree that US commercial spaceflight is untried or untested. The five companies to whom we awarded Recovery Act funds last month represent the expansion of the development of commercial crew capabilities. These are some of the large and small companies that will be developing transport systems as well as their supporting technologies. These technologies include such components as self- contained life support and rocket health monitoring systems that will be required in the future. You can also be certain that future stages of this competition will be fair to both the nation’s established aerospace companies, as well as the newer entrepreneurial entrants. What we are trying to do is to develop multiple, redundant, made in America capability for access to LEO. So we’ll never again be dependent on just one provider. And as these companies grow and succeed, the potential for spinoff companies and job growth we expect to be substantial. Let me also add a few words on the issue of safety. These commercial providers are already deeply involved with us in human spaceflight, and the newer companies will have cargo flights under their belt before crewed flights are considered. They will all have to meet stringent safety requirements. I have lost friends in the pursuit of exploration, and I will not allow anything to go forward that I believe is unsafe. Those are some pretty direct words coming from the NASA administrator. Of course, I don’t think they’ll have any effect on the die-hard opponents of the new plan, but I’m posting them here so that readers who just want to know what’s going on are aware of what NASA’s leadership has to say. How would you “Open NASA”? As you may or may not have heard, the White House has issued an “Open Government” directive to all government agencies which requires them to come up with a plan for how they will become more participatory, collaborative and transparent. To help develop this plan, each agency, including NASA, has been given an “IdeaScale” site where members of the public can make suggestions and vote on the suggestions of others. That’s where you come in! Do you have an idea for how NASA can be more “open” to the public? Some novel way for space enthusiasts to use spacecraft data? Some way for the public to actively help with NASA’s missions? Some piece of information about NASA that you wish you had access to but could never find? Now is your chance! Head on over to the OpenNASA site and submit your suggestion. Or just take a look at the ideas already there and vote them up or down. Increase of $6.0 billion over 5-years (FY 2011-15) compared to the FY 2010 Budget, for a total of $100 billion over five years. retirement of the Space Shuttle upon completion of the current manifest. It’s that last point that has many people upset. Constellation was the ongoing program to build the huge Ares 1 and Ares V rockets to replace the shuttle and return humans to the moon. The program was initiated by the previous administration, but then consistently underfunded. Last year, a blue-ribbon panel of aerospace experts – the “Augustine Commission” – was called in to assess the direction of NASA’s human spaceflight program, and they found that the Constellation program was “on an unsustainable trajectory” and that NASA was “pursuing goals that do not match the allocated resources”. Given the Augustine Commission’s report, it’s not surprising that Constellation was canceled, but plenty of people are not happy about it. Unsurprisingly, particularly angry are those who were directly involved in the program and their representatives in congress. I don’t blame them for being upset, and they have every right to complain, but I think that the decision to cancel Constellation was probably the right one. Don’t get me wrong, I liked the Constellation program. The test-launch last year of the Ares-1X dummy rocket was spectacular, and when I was in NASA Academy in 2006, I got to see some of the early behind-the-scenes work being done. It would have been great to see towering NASA rockets sending our astronauts to the space station and back to the moon. But between the inevitable delays in such a massive project, and the funds falling short of those needed to stay on target, the program really was becoming unsustainable. And worse than that, the delays compounded a serious problem in public interest. It’s hard enough to get people interested in a program designed to repeat what was done 40 years ago with Apollo. Good luck maintaining interest if that program gets drawn out indefinitely due to delays. The new budget places a strong emphasis on commercial spaceflight, relying on launch vehicles developed by private companies to send US astronauts to the space station. No doubt about it, this is a risky move. No private space company currently has a rocket or spacecraft capable of doing this. But they’re getting close. Space-X said today that they will be capable of sending astronauts to the ISS two to three years after receiving a NASA contract to do so, and for a price of ~$20 million per seat – significantly cheaper than the $50 million price tag of a flight on a Russian Soyuz rocket. 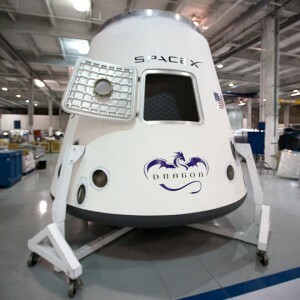 The Space-X "Dragon" capsule could be how US astronauts get to the space station in the near future. Even if these estimates are somewhat optimistic, it seems likely that commercial providers will be able to send astronauts to the ISS far sooner than Ares 1 would have been able to, and they’ll do it much cheaper. Yes, their cargo capacity will be much smaller, but cheaper launches could lead to more frequent launches, and that leads to a healthy commercial space industry. This change in the way of doing things, although painful for many right now, could have huge positive implications for the future of space exploration if commercial space “takes off”. Bigelow Aerospace and Space X have both mentioned lunar or even Mars missions on the horizon. Healthy commercial space (and therefore lower launch costs) could also lead to more-practical space-based solar power. Some people have complained that the jobs created by commercial space companies would be nothing compared to those lost due to the cancellation of Constellation, but I think this is a case of short-term thinking. Yes, right now probably more people will lose jobs from constellation than will be able to gain jobs from space companies, but what we’re witnessing might well be the creation of a new industry. In the long run, the job growth could be huge. Most of the discussion today has been about the Constellation cancellation, but the rest of the budget is extremely exciting. I’m very happy to see that more money will be spent on developing game-changing technologies, such as the VASIMR engine which could reduce the duration of a crewed mission to Mars from years to months. I’m also really excited about the proposed “precursor missions”. These would be missions similar to the Lunar Reconnaissance Orbiter designed specifically to lead the way for human missions to the moon, asteroids, Mars or elsewhere. I was also excited to see the provision for production of new plutonium, which is crucial to power missions to the outer solar system. Whether or not you agree with the decisions regarding human spaceflight, there’s no denying that this budget is great for science. Research into advanced technologies such as the VASIMR engine could pay off for future human missions. My main complaint about this budget is that it is somewhat vague on the development of heavy-lift capabilites, and that it does not spell out what the new destinations for human spaceflight will be. It’s clear that the plans presented are based heavily upon the “flexible path” option described by the Augustine Commission, but I’d like to see a series of destinations spelled out if that is the case. It’s probably premature for that, but concrete goals and deadlines would make a lot of people more comfortable. I was skeptical of this budget at first but the more I think about it the more it makes sense. And even if you don’t like it, what were the alternatives? It was clear that even with increased funding, Constellation would leave a huge gap in access to the space station. And with the current budget crisis, it would have been hard to justify $3 billion per year for a program that wouldn’t accomplish what we wanted very quickly. So the administration took a different approach, increasing NASA’s budget modestly and redirecting human spaceflight funds to commercial providers. This could provide cheaper access to space sooner than Constellation, and meanwhile NASA’s great engineers and scientists can focus on R&D for the next-generation technologies that will lead beyond low Earth orbit. Meanwhile, robotic science will be extremely strong under this new budget, teaching us amazing things about the solar system and the universe. I’m not the only one who is optimistic about the budget. The Planetary Society has weighed in and they are thrilled with it. So is Buzz Aldrin. 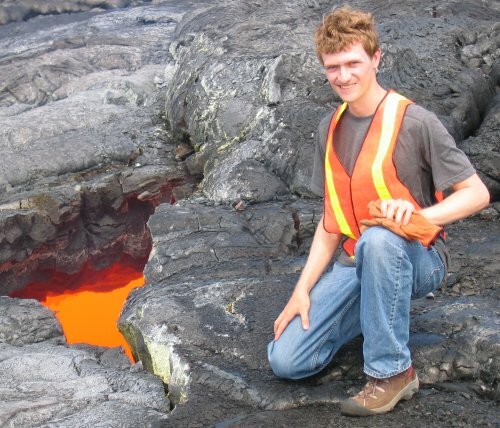 Norm Augustine is also supportive, and Phil Plait weighed in in favor of the budget and particularly its emphasis on science. Of course, the real question is what will happen in congress. As I said, many people involved in Constellation are furious about the decision, and their representatives in congress will put up one heck of a fight to keep things from changing. In the end though, I suspect something very similar to the proposed budget will be passed, and despite the naysayers, I think that’s going to be a good thing for NASA and a great thing for science and space exploration. Update: NASA administrator Charlie Bolden’s remarks from today are available here. He spells out the changes being made and makes a compelling case for them. The Big Picture has a great series of photos of the Ares 1-X launch, including some really fascinating shots of all the preparation that went into it. Check it out! In case you missed it, this morning NASA launched the Ares-1X test rocket from Cape Canaveral. It was originally supposed to launch yesterday morning, but was delayed due to: a stuck cable, a boat that got within the danger zone where the rocket was expected to splashdown, and my new favorite vocabulary word “triboelectrification”. Triboelectrification is the build-up of charge due to friction, and there was apparently some concern that clouds could cause enough charge to build up to mess up communications with the rocket. Finally, today a cloud-free patch opened up and the rocket launched beautifully. Now the question is whether NASA will continue with the Ares rocket or choose a different launch architecture, based on the results of the Augustine commission’s report. Comments: Comments Off on Ares-1X Test Launch Successful! Today, the “Augustine commission”, a group of aerospace and space exploration leaders tasked by president Obama to review NASA’s human spaceflight efforts, released their final report. It is available here, and I encourage you to read it. The set of recommendations in the report will form the foundation upon which the future of space exploration is built.